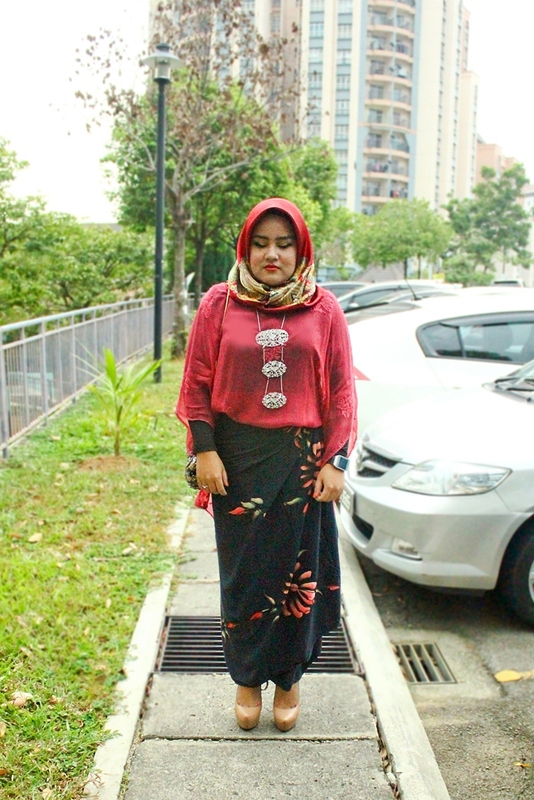 What So Sizzle Bout Sizzling Suzai - Malaysia Fashion, Travel and Lifestyle Blogger: Look #191 - How to wear your Pareo? Look #191 - How to wear your Pareo? As title above, the highlight should be that kain pario / pareo which i bought all the way from Bali. sorry as i couldn't recall the price tag anymore but i swear it is not expensive at all. normally the knot and draping are at the center waist yet personally, i think there is no specific rules on how you should wrapping on your pareo, only the aspect of comfortability that matter. Hence, another way to don your pareo is with an oversized kaftan as shown above. tucking in the front part and leaving the behind part neatly. so that the pareo's flow resulted from the knot can be seen. again there is no rules, its totally up to you but i am strongly recommended that the front one should be underneath the pareo. Thanks for reading and Happy #KLFW2015 Malaysian!